I had sincerely hoped that after the agreement reached on May 27 between Metropolitan Jonah, Metropolitan Tikhon and Metropolitan Hilarion, I would never again have a need to write on this subject. It is a topic which, when I do take it up, causes me some discomfort. Yet it has come to my attention that several Orthodox commentators around the world have re-blogged my May 29 piece, in which I sought to communicate the news of the positive resolution at that time regarding Metropolitan Jonah’s situation, which appeared then to be entirely concluded. I have remained silent on the subject since this summer, in vain hope that the situation would resolve, but, unfortunately, no new developments have come to light. In the interests of transparency, and desiring to preempt any possibly incorrect impressions readers of several blogs might glean from reading only my May 29 post, I must report a significant change in Metropolitan Jonah’s situation. This past summer, without any forewarning, the Primate of the Orthodox Church in America, His Beatitude Metropolitan Tikhon, informed his predecessor, Metropolitan Jonah, that he would be permitted to serve only at the OCA parish of St Mark’s in Bethesda, Maryland, located immediately outside the District of Columbia. Metropolitan Tikhon’s letter instructed Metropolitan Jonah that he would only be permitted to serve at another Orthodox parish in the event that +Jonah receives +Tikhon’s express written approval. Additionally, Metropolitan Jonah has not been permitted to offer the Sunday sermon at St. Mark’s for some time. The explanation Metropolitan Jonah received for this sudden, arbitrary change was that it might be seen as unusual or improper for a retired Primate of the OCA to be serving at the DC cathedral of the ROCOR. At the kind invitation of His Eminence Metropolitan Hilarion, the very kind First Hierarch of the Russian Church Abroad, Metropolitan Jonah had been serving at St John the Baptist Cathedral here in DC for almost one year following his sudden July 2012 resignation as OCA Metropolitan (at the request of the OCA Synod). All of us here in the DC area were shocked by Metropolitan Tikhon’s letter, which came without any forewarning or expectation. This change in conditions obviously contradicts the assurances Metropolitan Jonah received in May of 2013 when he met and con-celebrated the Divine Liturgy with Metropolitans Hilarion and Tikhon at St Tikhon’s Monastery in Pennsylvania. At this Monday, May 27 meeting in the presence of Metropolitan Hilarion, Metropolitan Tikhon and members of the OCA Synod of Bishops promised Metropolitan Jonah (among many other things) his full freedom to serve wherever he was invited. Obviously, this includes the ROCOR Cathedral of St John the Baptist. It is extraordinary to me that the most recently retired Metropolitan of the OCA enjoys such little freedom to serve. St. Mark’s has two attached priests in addition to its very kind pastor, the Rev. Fr. Gregory Safchuk, so there is no pressing pastoral need for Metropolitan Jonah to serve there. I am clueless as to why Metropolitan Tikhon or any of his fellow bishops on the OCA Synod felt it either necessary or appropriate to withdraw their earlier agreed-upon-promises to their former Primate and fellow bishop. The official OCA website has not featured any announcement of the changes in Metropolitan Jonah’s situation, nor have any members of the OCA Synod or Metropolitan Council commented publicly on the matter. Given the complete silence from anyone in the OCA headquarters in Syosset, NY on this matter, we can only wonder at the motives or concerns behind the decision to restrict Metropolitan Jonah’s service to this one parish immediately outside Washington, DC. Why would the OCA’s current Primate send a letter deliberately interrupting the ongoing parish ministry of his predecessor at another Orthodox jurisdiction’s DC cathedral? What need was there for this interruption, which caused confusion and concern among many parishioners at St. John the Baptist Cathedral here? Metropolitan Jonah’s ministry at St John’s was very popular, and his Bible studies well attended by parish members, as well as many from St Nicholas, the wonderful OCA primatial cathedral where I was chrismated in December 2011. Since Metropolitan Jonah’s July 2012 resignation, St Nicholas parish membership has sadly declined, with some of their former parishioners becoming active members at St John’s. As someone who stopped attending services at St. Nicholas in late summer of 2012, returning only several times to the cathedral which I had so deeply come to love, I noticed the decline in attendance there, and the regular presence of many former St. Nicholas parishioners at St. John’s. The kind Fr. Gregory and delightful parish community of St Mark’s in Bethesda have warmly welcomed Metropolitan Jonah. He has continued to serve there regularly since the summer. The Metropolitan resumed his Bible study at St. Mark’s prior to his two trips to the United Kingdom over the summer and earlier this fall. During his summer trip, Metropolitan Jonah was a guest of the Orthodox Fellowship of St John the Baptist, at whose summer Triennial International Conference he delivered one of the keynote presentations. During his fall trip, he was a guest of H.E. Metropolitan Kallistos of Diokleia. On both visits to the UK, Metropolitan Jonah was delighted to visit the wonderful Monastery of St John the Baptist in Essex, established in 1958 by the late and venerable Elder Sophrony Sakharov. Along with so many friends of the Metropolitan across the country, I remain confused and concerned by the inexplicable reassignment of Metropolitan Jonah to St. Mark’s, given that there was no pressing need for his service there, while his ongoing ministry at St John’s was popular, widely beloved, and caused offense to no one. The complete silence from the OCA Synod is deeply troubling, though it is hardly surprising. It astounds me that placing such restrictions on the most recent former Primate of the OCA could be considered Christian in any way, let alone pragmatic. I pray for a resolution, yet what sense would I have to trust men who have so repeatedly broken their promises, even ones made publicly? Still, I must believe this is all in God’s Providence. May His will be done in all things. I would encourage any of you who wish to do so to contact the leading clergy in the OCA in hopes of obtaining some answers. They should be able to offer ready explanations as to why Metropolitan Jonah is no longer permitted to serve freely as he was prior to this summer. 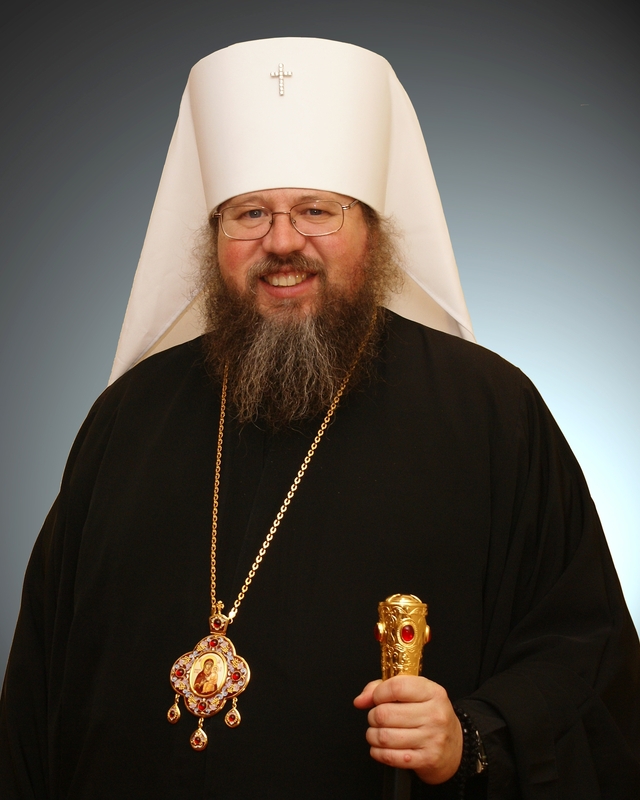 You may reach His Beatitude Metropolitan Tikhon at his office at 516-922-0550 or via e-mail at metropolitan@oca.org. You may contact the OCA Chancellor, Fr. John Jillions at his office at 516-922-0550 ext. 130, or via e-mail at chancellor@oca.org. The OCA’s Secretary, Fr. Eric Tosi, may be reached at his office at 516-922-0550 ext. 129, or via e-mail at egtosi@oca.org.